Causeway Link is one of the largest public bus operators within the district of Johor Bahru. 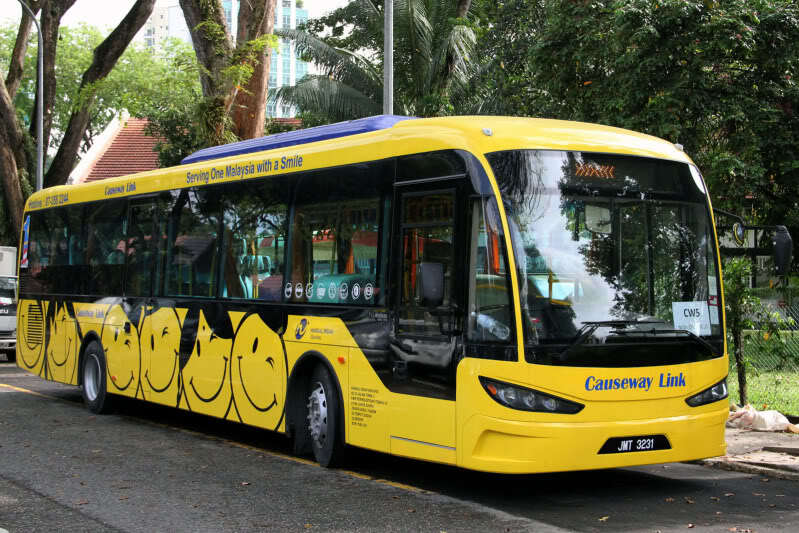 The distinctive Smiling Bus operates along numerous routes, including the outskirts of Johor Bahru, including Kuala Lumpur. Their aim is to maintain a reputation as one of the most highly regarded public bus operators in Malaysia by providing the most efficient and reliable services around. Following the pace of technology, Causeway Link has continuously assessed and improved its public bus service. This ensures Johor’s public transportation system remains modern and capable of providing the highest level of comfort and convenience. Johor Bahru to Kuala Lumpur is ranked as one of their top selling routes, departing from Larkin Sentral to Terminal Bersepadu Selatan. The journey from the capital of Johor to the metropolitan city takes an estimated duration of 4 hours. Bus travels have moved from physical ticketing counters to online bus bookings. Begin your journey with Causeway Link on CatchThatBus - the faster and easier way to a smooth bus travel experience. Visit our website or mobile app on Google Play or App Store and book your bus tickets today! Bad bad service. Never helped us unload luggage. just stood there and smoked. free Wi-fi but slow and disconnects easily. Customer service was helpful or else I would have missed my bus. Safe driving in rain from Melaka to Johor. Two thumbs up.